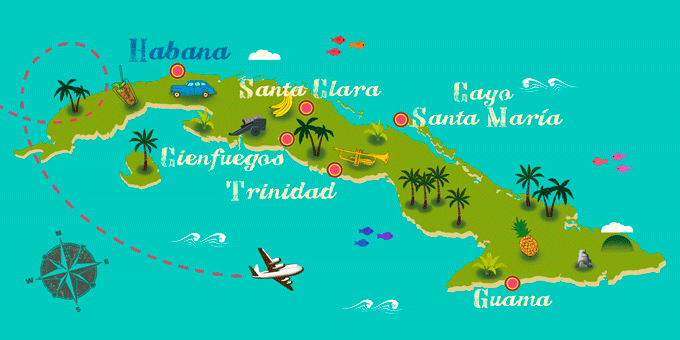 The island of Cuba is one of the Caribbean countries that have little variety of products. Sometimes it is difficult to find certain items. However, one can not leave Cuba without tasting some of its most typical delicacies such as rum or coffee, visiting their tobacco plantations where their popular cigars are made or dancing to their more traditional music such as chachacha and rumba, among others. One of the most common purchases in Cuba are CDs, perfumes, which are much cheaper than in other parts of the world, and crafts. The country has small shops that sell recognisable Cuban paintings, souvenirs made of wood, Cuban hats or native delicacies. Some of the best shopping centres are the Comodoro, the Feria de San José and the Palacio de la Artes, in Havana; Also the Varadero Street Market has a good variety of products.